" Sav-vy [sav-ee] v. 1. to know; understand. n. 2. practical understanding; shrewdness or intelligence; common sense. adj. 3. shrewdly informed; experienced and well-informed; canny." Savvy came to us from Mike & Melinda May (Hullabaloo) in Fredericksburg, TX. 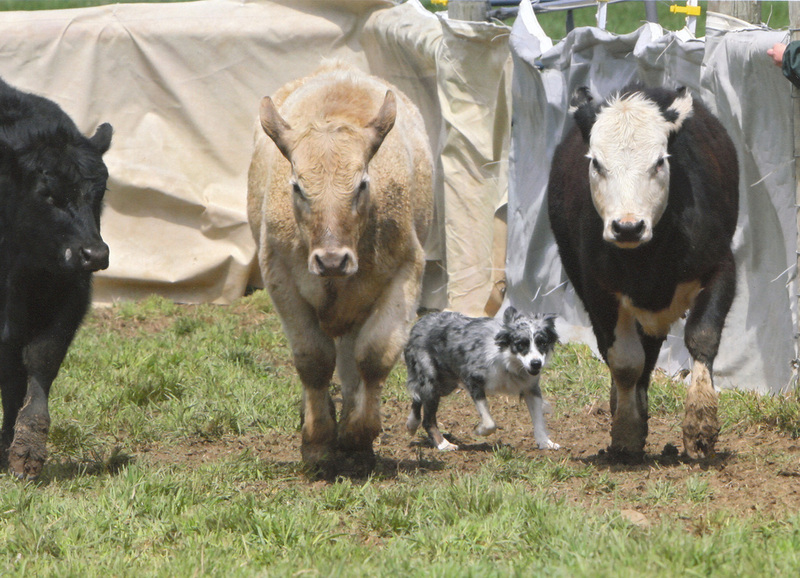 Savvy is well known as a strong and tenacious cowdog. She naturally hits both ends of a cow, but lost her heel bite a couple of years ago. Savvy is a hard biting dog and her size allows her to get out of a lot of wrecks! She is very fast and works wide on her stock, but shows a considerable amount of eye in close work. She truly lives up to Melinda's nickname of "the little blue bomb"! In the house, Savvy is easy to live with and has a fantastic personality. 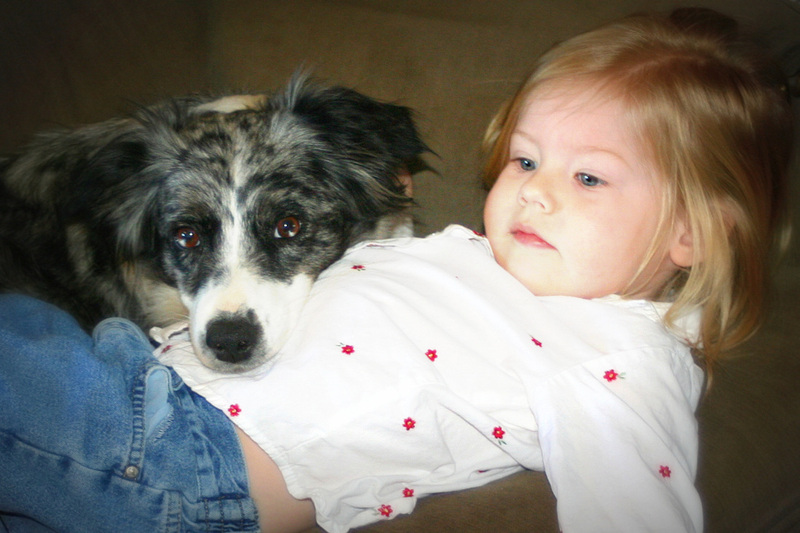 She has always been great with other dogs and with my kids. 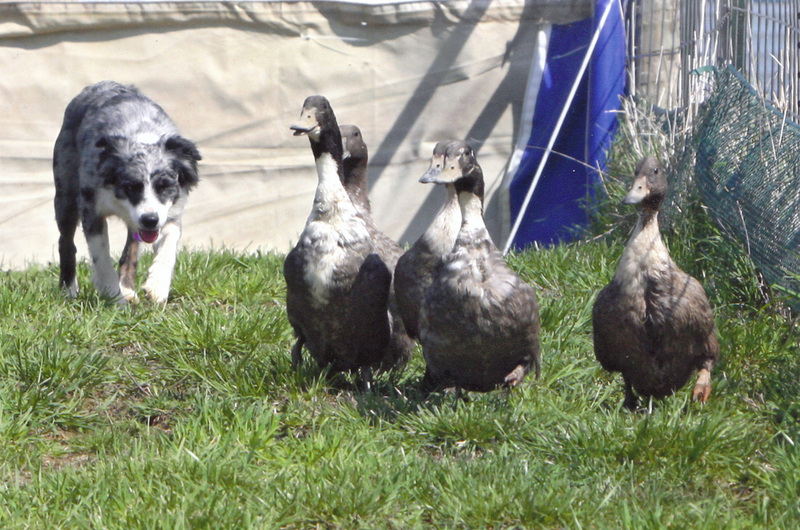 At the same time, Savvy is very protective of my home and farm; the true embodiment of the old time Aussie. Savvy was a fun dog to trial and earned many fans along the way. She won many High Combined awards and buckles. We are now focusing more on daily chores, time/points trials, and using Savvy to break cattle. Motherhood is one of Savvy's other hats, and one she wears well. She has produced many excellent working dogs and hopefully has a few more up her "sleeve". She is a fantastic mother and always does a great job in raising her pups. Click here to see Savvy's pedigree and working videos!